Tweet Atanasijević and Podraščanin On Perugia For Two More Seasons? “Yes, we have reached an agreement in all aspects for a two year extension with Atanasijevic and Podrascanin. I have already put my signature on the two documents, since I will be out for work in a few days. Perugia’s future today starts with Aleksandar Atanasijević and Marko Podraščanin and not with Ivan Zaytsev, which has decided to change positions. I understand that, even in soccer it is better to be a striker than than a defender. We believe he will play somewhere else. Sir Safety Perugia currently leads A1’s standings with a 20-2 record. 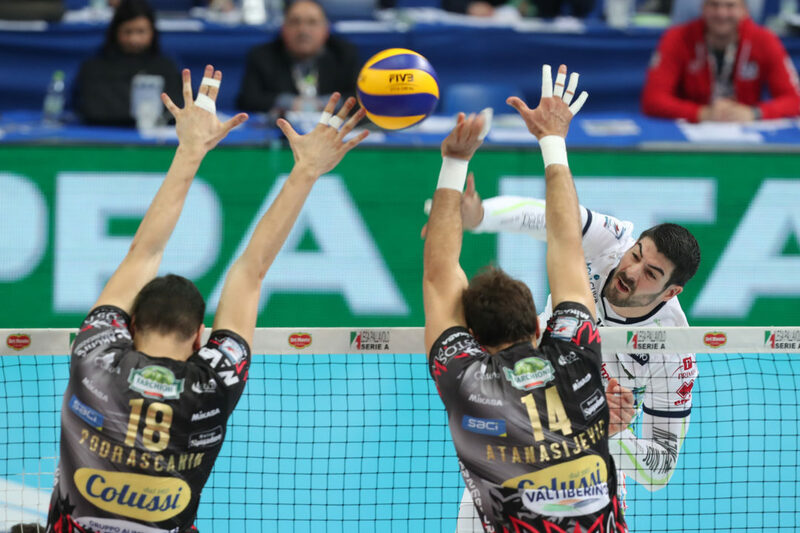 Atanasijevic, the league’s third highest scorer with a 4.92 points per set average, and Podrascanin, which is the league’s second best blocker at 0.73 blocks per set, are big factors why. « (ITA) Riccardo Sbertoli To Leave Milano For Monza?